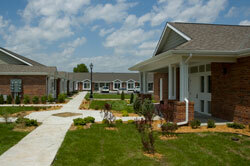 MHA Residential Care Inc. provides safe affordable one bedroom apartments for seniors. Eligible applicants are those who are 62 years of age and older and meet low income guidelines established by the U.S. Department of Housing and Urban Development. Applicants must meet all tenant selection criteria. Pinecrest Place features large, ground-level apartments with outside entrances, storm doors and oversized doorways. Each apartment has plenty of storage with two walk-in closets. The kitchens are equipped with refrigerator, stove, garbage disposal and abundant storage space. 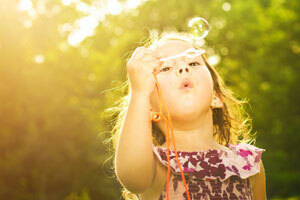 Pinecrest Place has an eastside location convenient to shopping and public transportation. These apartments provide 24-hour on-call maintenance services, on site laundry facilities, snow removal and landscaping services. For those with green thumbs there is a garden area in front of each apartment for planting an individualized garden. Pinecrest Place excels in providing affordable living with low monthly rents that include water, trash, and an allowance for utilities. An on-site service coordinator is available to help resident's access necessary senior assistance programs. Educational programs directed by the service coordinator allow residents to build relationships with their neighbors and enjoy the friendship and community of Pinecrest Place. To see what these units look like, view a virtual tour of our properties. Mohr Place II features large, ground-level apartments with outside entrances, storm doors and oversized doorways. Each apartment has plenty of storage with two walk-in closets. 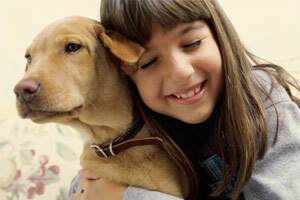 The kitchens are equipped with refrigerator, stove, garbage disposal and abundant storage space. Mohr Place II has a west-side location convenient to shopping and public transportation. These apartments provide 24-hour on-call maintenance services, on site laundry facilities, snow removal and landscaping services. Mohr Place II features walking paths for those who enjoy the outdoors. Mohr Place II excels in providing affordable living with low monthly rents that include water, trash, and an allowance for utilities. An on-site service coordinator is available to help resident's access necessary senior assistance programs. Educational programs directed by the service coordinator allow residents to build relationships with their neighbors and enjoy the friendship and community of Mohr Place II. To see what these units look like, view a virtual tour of our properties. 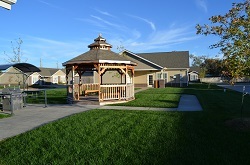 The Wichita Place Senior Residences are the newest MHA Residential Care property, opened in June 2014. The property features large, ground-level apartments with outside entrances, storm doors and over sized doorways. Each apartment has plenty of storage with two walk-in closets. The walk-in closet in the bedroom also doubles as the units storm shelter. The kitchens are equipped with refrigerator, stove, garbage disposal and abundant storage space. 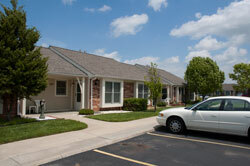 The Wichita Place Senior Residences has a southside location convenient to shopping and public transportation. These apartments provide 24-hour on-call maintenance services, on site laundry facilities, snow removal and landscaping services. MHA's Residential Care excels in providing affordable living with low monthly rents that include water, trash, and an allowance for utilities. An on-site service coordinator is available to help resident's access necessary senior assistance programs. Educational programs directed by the service coordinator allow residents to build relationships with their neighbors and enjoy the friendship and community. To see what these units look like, view a virtual tour of our properties.